Gatte Pulav is a famous delicacy of Rajasthan. As vegetables are not available through out the year because of scanty rainfall, this pulav is made using gram flour dumplings during festivals and other important occasions. Wash and soak millet for 30 minutes. Drain. Mix the ingredients for gatte with minimal water and knead to a stiff dough. Shape into small balls. Cook on high for 2W. Let pressure settle. 1. 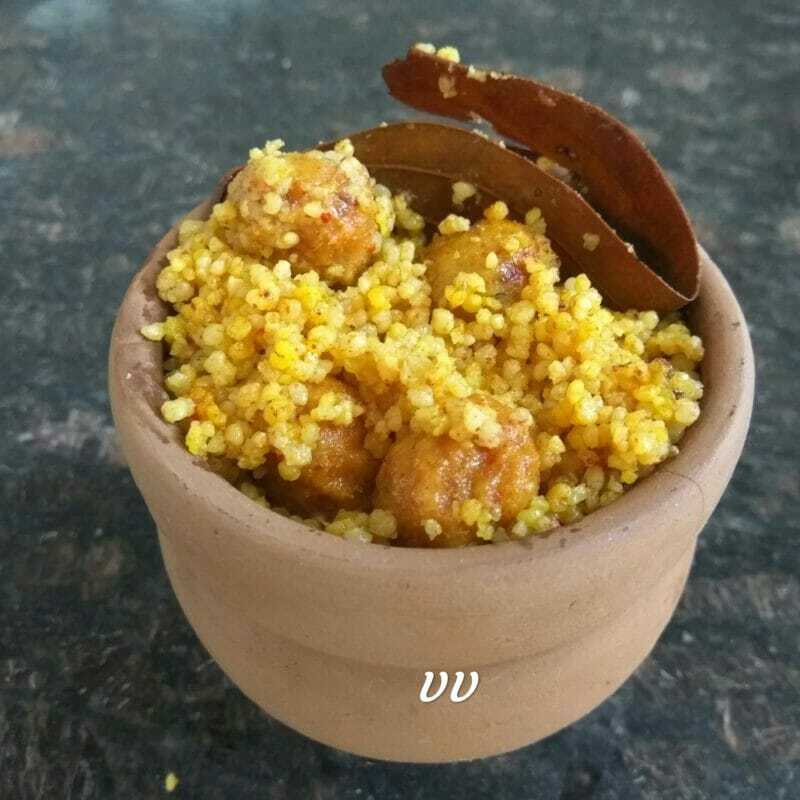 Little, Barnyard, Foxtail millets can be used for this recipe instead of Kodo millet.